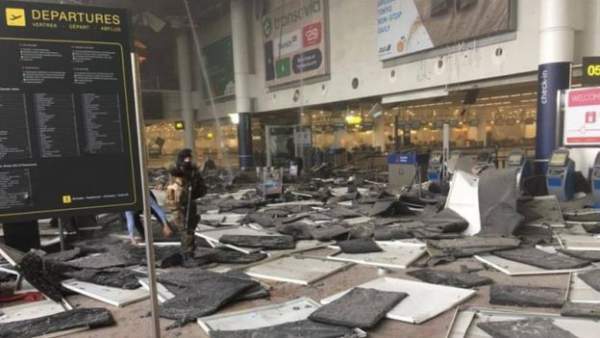 The departure area of Zaventem airport itself suffered two blasts which tore it apart slightly after 7 am GMT. After that, the terrorist made Maelbeek metro station their target. As of now, the airport and whole transport system have been affected and are thus closed. Today’s Brussels attacks happened after four days of seizing the main fugitive of the Paris bombings, Salah Abdeslam. He was captured in the national capital of Belgium, Brussels itself. At this point of time, Belgium is witnessing highest level of security in awe of its terrorist threat. PM Charles has referred these attacks as a tragic moment in the nation’s history. He has asked every citizen and everyone else to keep calm and show solidarity. The Belgian prosecutor has suspected that it is the work of probably a suicide bomber. EU President Donald Tusk has condemned the attacks. VRT reported that as many as 13 people have been reportedly killed at the airport, and more than 35 persons have been severely injured. Officials have claimed one of the attacks as a work of suicide bomber. If reports are to be believed, then metro blast has claimed at least ten deaths. However, there is no official confirmation as of now. The Belga news daily claimed that some Arabic voices and gunshots just before the two explosions. Transport to the airport has come to a halt. People have been told to not to go near the blast site. All fights which had a route via Brussels airport have been diverted. Eurostar cancelled all trains having any connection to Brussels. Security has been increased at Gatwick and Heathrow airports, and the UK Foreign Office has advised people to not to go out in crowded areas in Belgium. UK PM David Cameron will head a meeting of the Cobra response committed about the Brussels Explosions. France has also increased the security. President Francois Hollande chaired a meeting regarding the Brussels explosions and attacks. Now, security has been tightened up at Dutch airports. Some reports have revealed that one of the attacks was at Zaventem Starbucks store, but this too hasn’t been confirmed yet. Some of the reports regarding the metro blast have been confirmed. It happened just after 8 am GMT during the rush hour at Maelbeek station. TV images have shown smoke coming out of the entrance. Zaventem airport is located 11 km (7 miles) north-east of Brussels and last year; it dealt with over 23 million passengers. Now, these Brussels Explosions will have effects for some time on everything.